Preeti is my Sister. She is just 30 years old. Now she is suffering from Acute Myleoid Leukemia with Hyperleucytosis. She is a nurse mentor by profession. She had fever for 1.5 weeks and suddenly on the week of DIWALI ,2017 she diagnosed with BLOOD CANCER with BLAST CELL 96%. Currently I am working in IT. AND now I am the only earning member of my family. 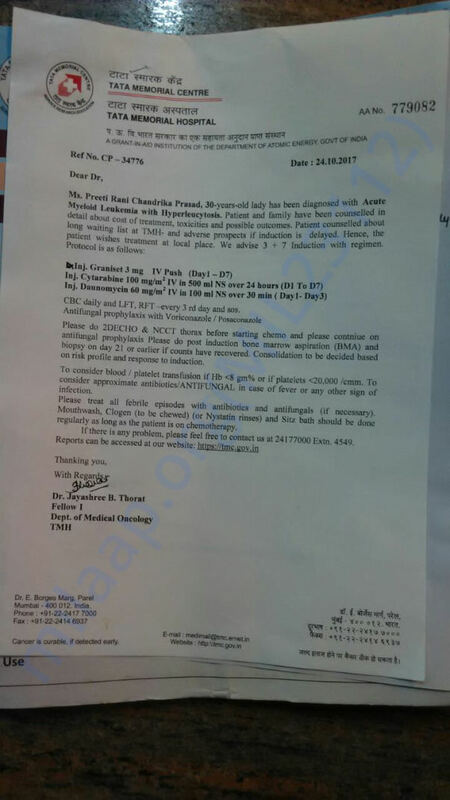 Our Mother is also going through a treatment of a disease related to Uterus. She is also not well. Suddenly this happened with my sister and I can not afford this much of treatment cost. As I told I am the only source of income in my family, I am so much worried about my sister as well as my family . I need help to cope with her medical bills, check ups and her survival for the next few months. Please help me to save my sister's life. We are thankful to all of you and Milaap for supporting us. We have a sad news to share with you today. 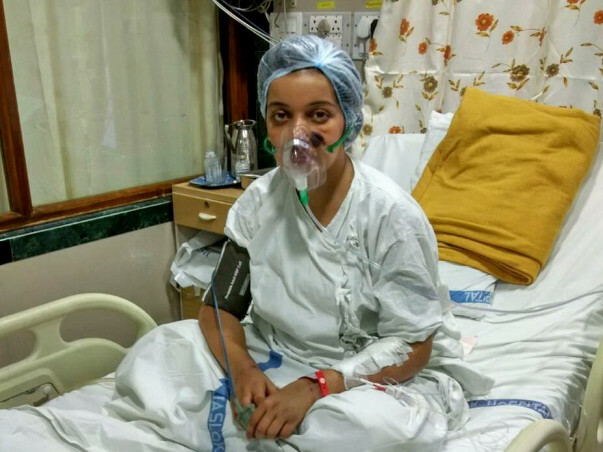 Preeti was on the ventilator for four days. Since there was no improvement, the family wanted to shift her to the ward. To give her further treatment, she was being shifted to a hospital in Delhi. Unfortunately, she took her last breath on the way to Delhi, in a hospital in Allahabad. May God give her eternal rest and the family the strength to bear the great pain. The funds will be utilized for settling the medical expenses. We are happy to inform you that Milaap is running a matching scheme on our campaign. For every contribution made to Preeti's fundraiser, Milaap will add 20% of your donation till 8th of November. Please continue supporting the campaign and spread the word. Thank you for your wonderful support. Preeti is now in Jashlok Hospital, Mumbai. The doctor said she is having water in her chest, and they are doing some process called "tapping" to drain out the water. Her platelets count is 19000 and her blast cell is 76% now. If anyone has any contact to #TATA_MEDICAL_HALL, Mumbai, Please let us know. We need the treatment from Tata medical, but unfortunately, we are not getting that.